This is a mixed media painting on wooden board. Multiple faces share same features. A blend of Cubism and Expressionism in a contemporary take. 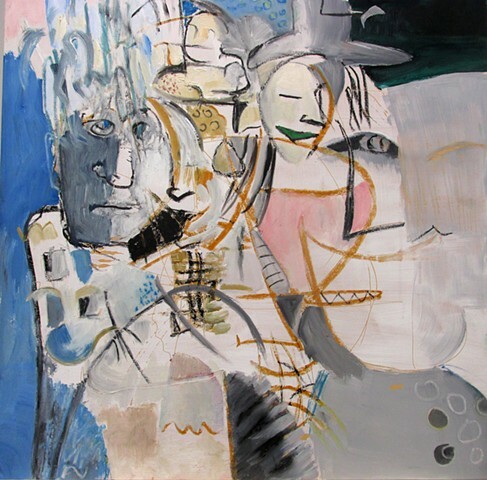 Inspired by work of George Condo. This piece is ready to hang. No frame needed. The sides are painted.